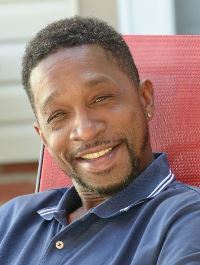 Romone Shawndale Williams, Sr., 44, of Chattanooga, passed away on Thursday, November 1, 2018, at his residence. He was a graduate of Lookout Valley High School and attended Chattanooga State. He was also a member of St. Paul A.M.E. Church. Romone owned his own Body and paint repair shop. He was preceded in death by his grandmother, Hattie Terrell; grandfather, Earnest Baddger; uncles, Joseph Mitchell, Charles Williams, and Charles Tucker; aunt, Racheal Tucker. Survivors include his son, Romone Williams, Jr. of Chattanooga; daughters, Tanetra Strickland of Valdosta, GA and Angel Wicks of S. Pittsburg, TN; father, Renwick Baddger of Cleveland, OH; mother, Patricia Williams of Chattanooga; grandfather, Mitchell Williams, Sr. of Chattanooga; grandmother, Shirley Baddger of Cleveland; brothers, Christopher Williams of Chattanooga and Rayshawn Howard of Cleveland; sister, Jacquita Williams of Chattanooga; uncles, Rickey Williams, Mitchell Williams, Jr., James Williams, Traci Williams, Earnest, Donald, and Timothy Baddger; aunts, Willowdean Williams and Renee’ Smith; special niece, Briaunna Williams; several other nieces; nephews; cousins; other relatives and friends. He will lie in state on Saturday, Nov. 10, after 10:30 a.m. at Taylor Funeral Home. Funeral services will follow at 3 p.m. in the chapel with Pastor Kenneth Love as the eulogist.